This Mama got a smartphone for Mother's Day...and life will never be the same I'm sure! I hope my nice camera sees the light of day once in awhile, but for those snapshots of life that I might otherwise miss, now I at least have something! I'll probably be posting way more quick shots on Instagram now than here - so follow me over there and I'd love to follow you back! Also, seeing as this is my first ever smartphone I'm collecting app recommendations! Leave me yours and please keep in mind I did NOT get an iPhone. 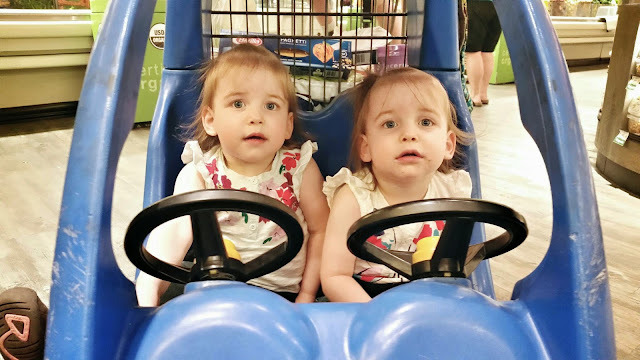 This girls finally get to ride in the real car part of the car cart... until they slither out of their seatbelts and try to run away, and then they go back up top, with much wailing and gnashing of teeth. 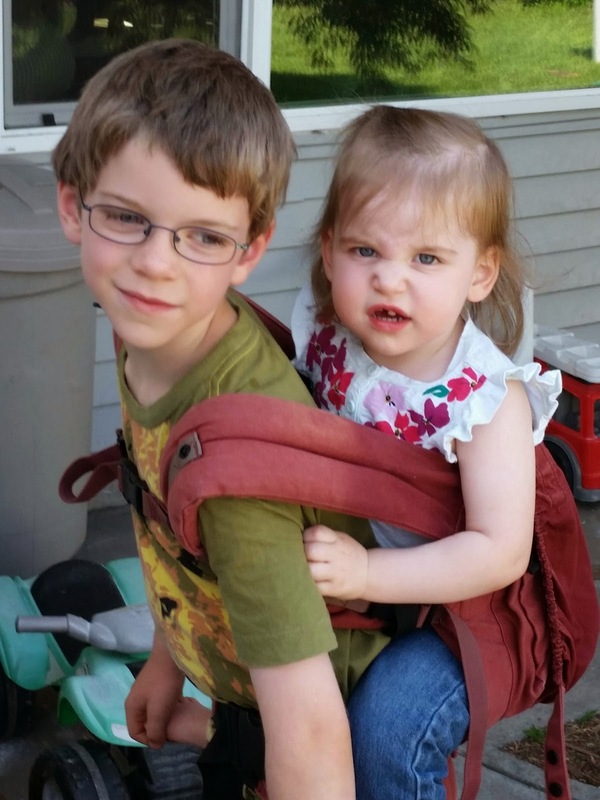 And brother decided he wanted to copy me and carry one of the sisters around. 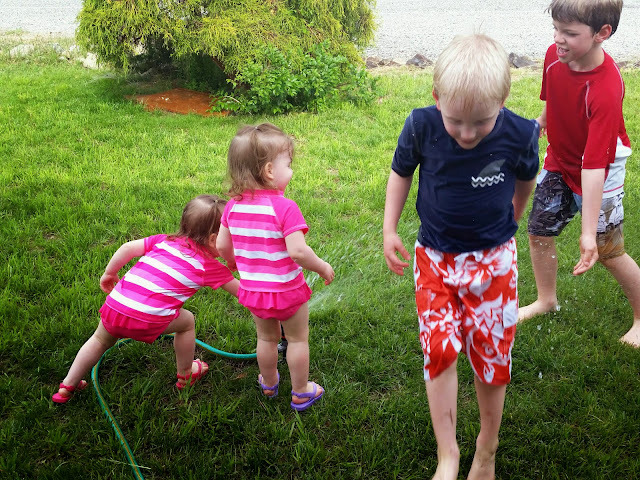 Helps when your big brother is 5 years older than you and half as tall as Daddy already! Too bad he's so skinny, it's hard to keep your balance when your little sister weighs almost half as much as you do! This picture doesn't show it, but she was loving the fact that brother was carrying her around, it was just kind of bright outside.